EVS Tuning has developed a front tow solution for the new Honda Civic Type R(FK8)! It’s a must have for those that are running their CTR’s at the track. Our adapter bolts under the front crash beam directly under the crash beam. The OE tow hook or any aftermarket tow hook with the same thread pitch and length can be used. The built in louvers reduce lift and create downforce by relieving unwanted pressure differentials. Pressure differentials can occur anywhere that a fluid flow is allowed to enter an area that is difficult to exit. Fender lines stay clean to not disrupt with Honda’s design and form and are straight and perfect just like the factory. With the knowledge gained from many years of racing experience, Evasive Motorsports has released their very own line of aftermarket products under EVS Tuning. Track duty lug nuts. Enough said. Better than most high dollar ones and for a good price. "Solid lug nuts, threads are clean and buttery smooth. Finish is even and on point. I have confidence they will serve me well at the track." 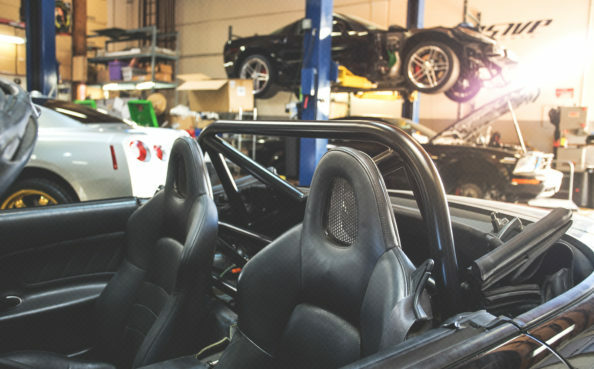 "I recommend Evasive Motorsports to anyone who needs a car part. I buy only top quality parts for my 350Z and 240SX. I can't afford to waste money with companies that are slow to respond and aren't focused on minute details. They check if the parts are a fit for my cars. Anyone can succeed here. These lug nuts are high quality, beautifully made, packed carefully and very reasonably priced." "Quality is on point. Awesome product." We focus on the overall balance of a vehicle, and not solely on pure horsepower. We are continually researching and developing new products to add to our line. Shop our current line of exhausts, aerodynamic parts, accessories, and more.